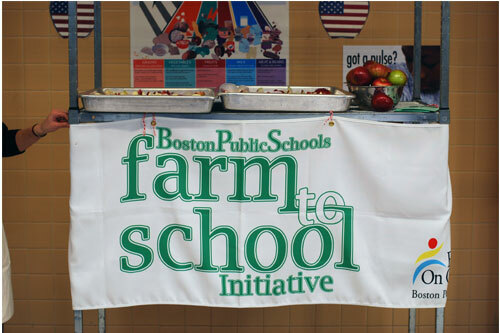 The Farm to School team has been busy serving up local produce every Thursday at all BPS Cafeteria Schools. 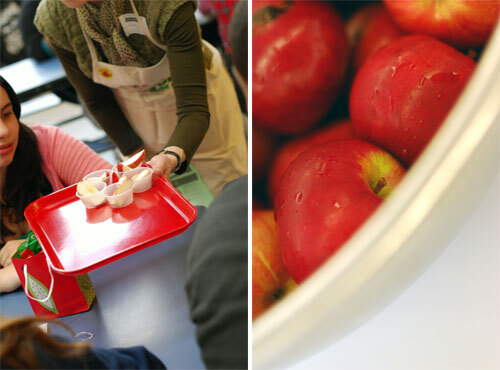 Before the winter break, we visited Boston Latin Academy in Roxbury where we sampled locally grown Macintosh apples. Local apples are available all winter long thanks to cold storage facilities which preserve apples harvested in the fall. Sweet and juicy, these apples were a favorite among students. 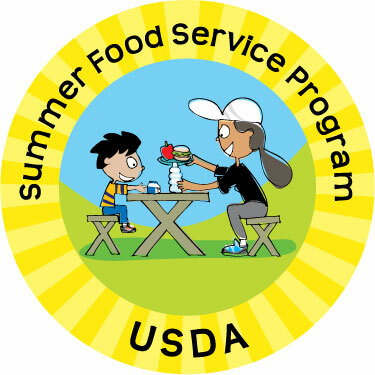 Last week, we visited the Dearborn Middle School in Boston’s Uphams Corner Neighborhood to sample locally grown cabbage and carrots shredded for a tasty coleslaw. In addition to the traditional mayonnaise dressed slaw, we also sampled an Asian inspired coleslaw with a ginger-vinegar dressing. 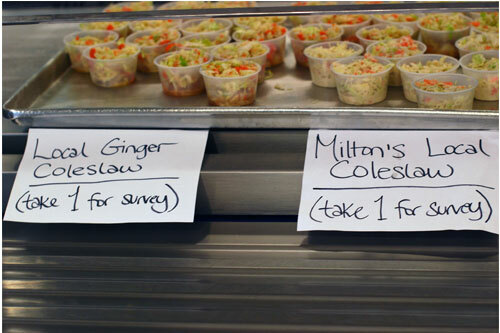 Overall, students preferred the traditional slaw which was developed for Boston Public Schools by the Department of Food and Nutrition Services very own Milton Lashus. Toss together all ingredients in a large bowl and serve! This week, on Thursday January 19th, we’ll be heading to the Curley K-8 School in Jamaica Plain to sample Czjakowski Farm roasted vegetable medley – a blend of butternut squash, rutabaga, and carrots. 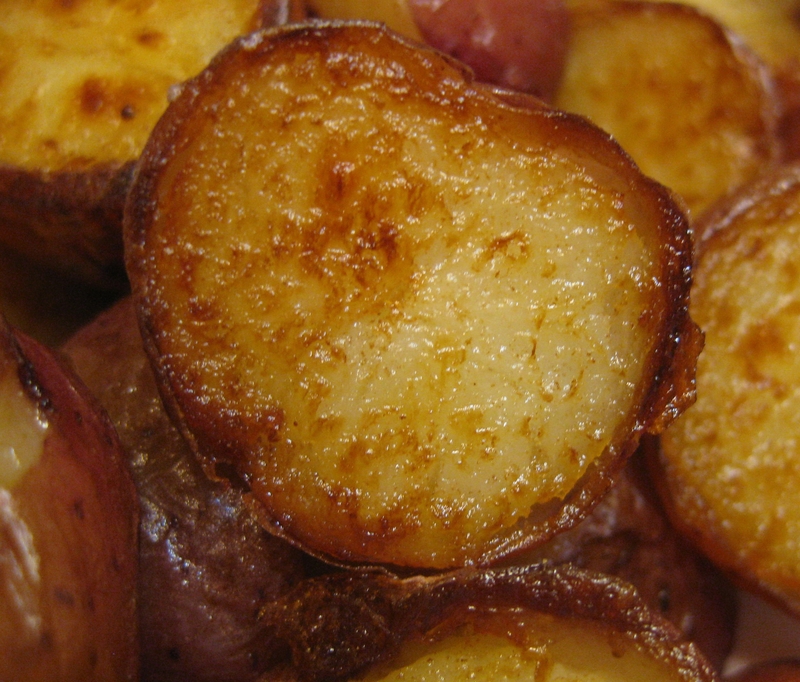 These roasted baby red bliss potatoes are a delicious, healthier alternative to french fries. When done perfectly, the cut halves turn golden brown and the skins shrivel slightly, creating a thin layer around a pillow-soft interior. Delicious on their own, these potatoes are also a great start for potato salad. Rinse potatoes and towel dry or let air-dry for an hour. Place dry potatoes in a large bowl and add the oil, salt, pepper and minced garlic. Transfer potatoes to a baking sheet and spread out in one single layer. Do not crowd the potatoes. Roast for 35-40 minutes until very soft on the inside. 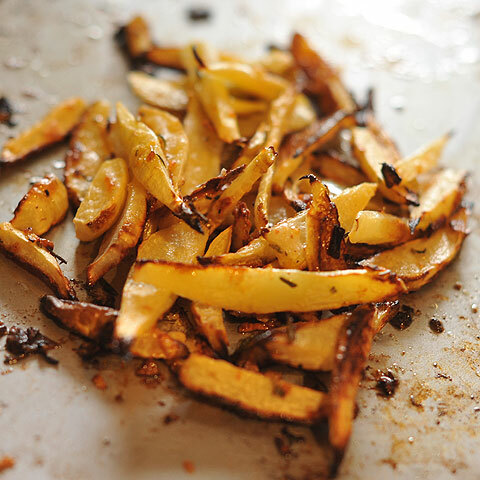 These rutabaga fries are quick and easy to make. This is the recipe made in our cafeterias, but feel free to improvise on this basic structure. Use your favorite spice mix or add hardy herbs like rosemary or thyme. Students seem to like them best with ketchup.